Home / Savings Blog Posts / Recipes / Crock Pot Recipes / Crock Pot Lemonade Recipe | Perfect for Summer! Crock Pot Lemonade Recipe | Perfect for Summer! I have an awesome recipe to share with you today that is PERFECT for Summertime Parties. If you plan on having a crowd over here’s a quick and easy way to make Homemade Lemonade in your CrockPot. A few things I wanted to mention about this recipe is that it makes a LOT so you might need 2 containers. If that happens you use 1 part Lemonade Concentrate to 3 Parts Water at the end. You can also Freeze the Lemonade Concentrate and Save it for later if you want to make one batch and serve only half. I personally don’t think you’ll be able to freeze it because it will go really fast, it’s super yummy! 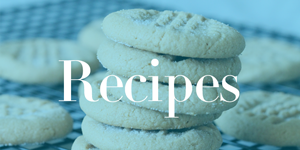 Do you have a Family Favorite Recipe? I am starting a new Reader Favorites Feature where I’ll Feature YOUR Recipes and Tips! Plus You could earn a $10 Amazon Gift Card just for Submitting Your Recipe! I have to agree with those wondering about the advantage of slow-cooking water and sugar, when dissolving sugar in hot water is done much faster and cheaper on a stove or in the microwave. About the only advantage of a crock pot is on hot days it can be used outdoors to avoid heating up the kitchen. My husband just had a kidney stone removed. (painful stuff) I understand that lemonade is great to keep them from recurring. Something about the acid, so I am searching for recipes. Homade is always better than store bought ! Thanks for the recipe…will definitely be trying it! Just curious if you are using lemon concentrate from real lemons. I always have so many from our tree. What I have done in the past is juice them and put the juice in ice cube trays. Freeze it and then I can pull out for when I need lemon juice for a recipe. Always thought I’d be able to put the cubes in a punch bowl with a good punch recipe. is this Pamela Livingston……..of losgatos?…………..my sister? how in the world did I happen to bump into you here? I love lemonade! What a great way to kick off the summer! Thank you for sharing your recipe. What is the advantage of heating the water/sugar in the crockpot over using the stove. Does it really taste better? I’m thinking the stove would be faster. I am open to the idea that different cooking method does change the taste though. Just wondering. OK i clicked on this from FB curious to see the recipe….so, what’s the benefit of using a crock pot? couldn’t it just be as easily titled microwave lemonade? Or, really-hot-water -from-the-tap lemonade? the great thing about crock pots is that they concentrate a lot of cooking into a smaller space, over an extended amount of time, in a very controlled device…really beneficial for tough cuts of meat, or soups and stews…..so far as I can tell, this is just dissolving sugar in water, a fairly simple task that is done quickly via other methods. not trying to be a hater, just curious about the benefits of “slowly dissolving” sugar in water. Sounds delicious! We are HUGE lemonade fans in this house! Half Price Shakes at Sonic after 8pm! FUN & Easy Patriotic Punch to make with Your Kids!